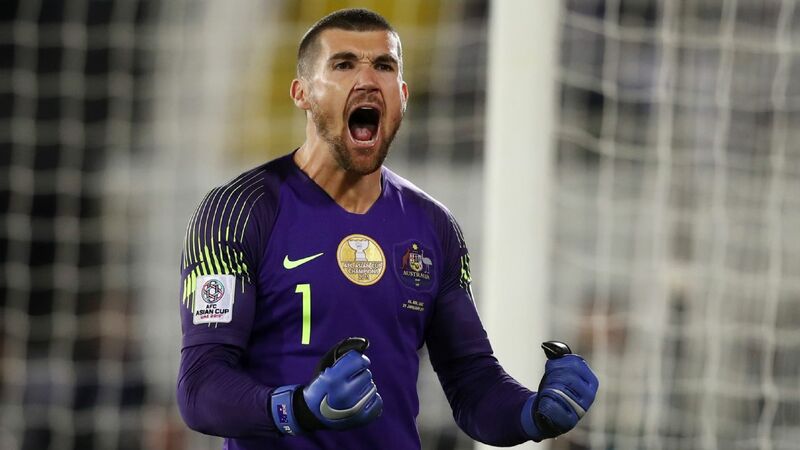 Goalkeeper Maty Ryan earned champions Australia a quarterfinal place in the Asian Cup on Monday as he made two saves in a shootout to see off Uzbekistan with a 4-2 win on penalties after 120 goalless minutes. The Brighton & Hove Albion keeper Ryan denied Islom Tukhtakhujaev and Dostonbek Khamdamov to leave Mathew Leckie to score the winning spot-kick and take the Socceroos into the last eight. Goals near the end of each half from Gabriel Jesus and Alex Sandro gave Brazil a 2-0 win over Saudi Arabia on Friday in what was a subdued performance by the five-time world champions. Brazil had scored 16 goals in their four previous wins against the Saudis but the home side matched the visitors, particularly in midfield, for most of the game. Slaven Bilic has been appointed head coach of Saudi Arabian side Al Ittihad, his first coaching position since being sacked by West Ham last season. Bilic, who has also taken charge of Croatia, Lokomotiv Moscow and Besiktas, signed a three-year deal on Thursday. "Bilic will train Ittihad throughout the upcoming phase of the sports season," the club said in a statement. "The board wished Bilic all success in his new mission to help Ittihad regain its outstanding performances." Adel Ezzat has resigned from his post as president of the Saudi Arabia Football Federation in a bid to run for Asia's top job in 2019. The official took the Riyadh post in December 2016 but now has his eyes on becoming president of the Asian Football Confederation (AFC) in next year's elections. Asia's five teams are all home from Russia, but January's 2019 Asian Cup already looms large on the horizon. Here's a look at lessons all the AFC nations learned from the 2018 World Cup and what needs to be done in the coming weeks and months. Despite the stunning 2-0 win against Germany, South Korea's World Cup was a disappointment. There were some positives with the Taeguk Warriors, however.